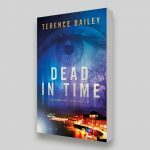 Dead In Time is first book from the The Sara Jones Cycle, a paranormal thriller written by Terence Bailey, it’s published by Accent Press. 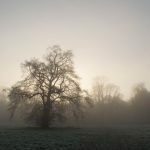 The book focuses on a psychologist based in London and Wales, so these places were the main sources of images used in the visuals. 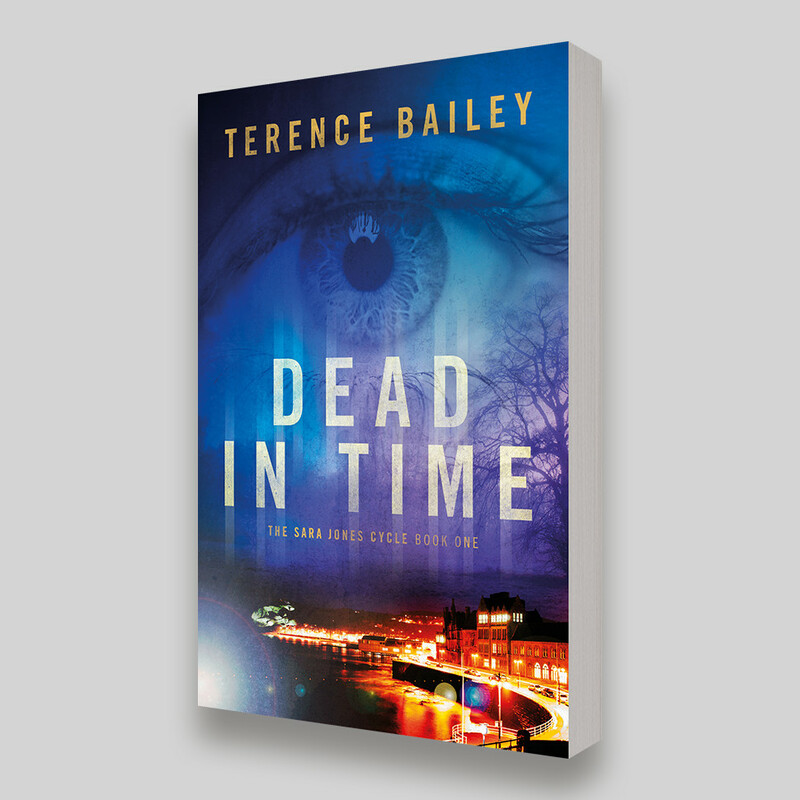 The main essence of the brief was that this was a psychological thriller and needed to convey that sense of the paranormal, foresight and foreboding, but not necessarily dark. Once the first visuals were tweaked we went with a shot of Aberystwyth and a London park. The misty main image was originally a shot of hosted heath from a photo library, but the shot I’d sourced came in over budget. 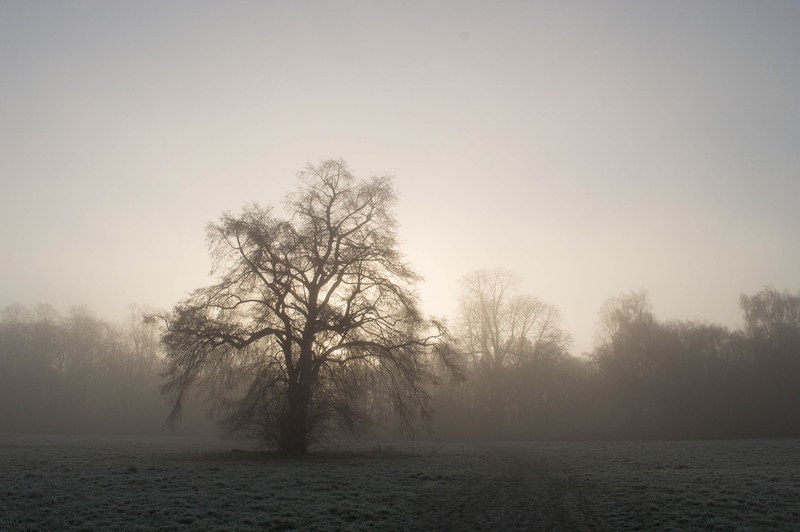 At the last minute I had to swap it for a suitable alternative, I spent an age sourcing (unsuitable) images but then I remembered I’d taken some shots of my local park on a misty morning, luckily one of these was suitable. It’s not necessarily the best shot of the series, but the composition and tonal range work within the sleeve. The eye image is actually the same image I’ve used on another (completely different) book, I had it on file and it just worked! Rogue Four Design is an independent graphic design studio based on the outskirts of London, in Cheam, Surrey. It's built on over 15 years of experience working in print and digital formats within the film, publishing and music industries. It prides itself on providing clients with relevant creative solutions honestly, intelligently and professionally.